One thing that I deal with is severe back pain due to having pars defect. In the winter the pain can get to be just down right unbearable at times. I have noticed that when my back pain flares up it affects my body in many ways. I recently received a Naipo Shiatsu Neck Shoulder Massager to review. I love the idea of having a heat massager at home because I know that the heat helps my back relax and the pain eases up. I was excited to receive this massager as I know that Mr. Anderson will benefit from using it as well. This massager is rechargeable and cordless so it can be used anywhere as needed. It came with a carrying case so we can easily take it with us. I like that it came with the carrying case, wall charger and a car charger as well. 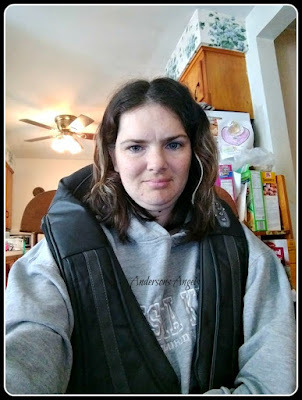 I am not sure about you but when traveling I get stiff and this will help loosen up my neck and shoulders during long trips. I like that even though the massager is said to be just for the neck and shoulder massager there are more uses to it shown in the owners manual. You can also use it on your back/waist, abdomen, thighs, feet and calves. I like all the different uses because after a work-out and your sore you can easily use the massager to help relieve sore muscles. 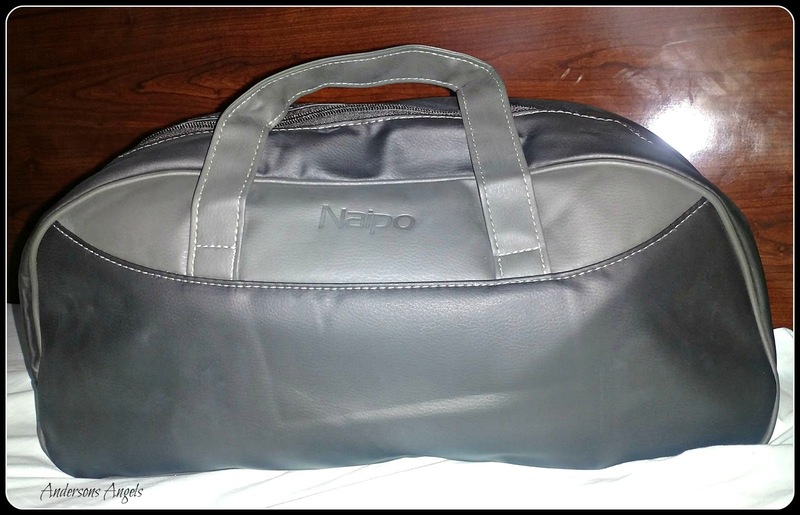 If you are looking for a home massager then I would recommend checking out all the different massagers that Naipo offers. They have a wonderful variety of massagers that you can easily pick from so you get exactly what you need. I like that the Naipo massagers are available on Amazon so you can easily buy and quickly receive your massager. Sounds wonderful! I'll have to check this out myself. I have sciatica and my lower back bothers me often. This could save me so much pain! I was drug by a horse and have horrible back problems!